Featuring Easter activities, crawfish, dancing, films and more! Crawfish Boil: 4th annual crawfish boil includes all-you-can-eat Crawfish Boil and Chicken Andouille Gumbo! Our Crawfish Boil is a traditional Cajun mix of crawfish, potatoes, corn, andouille sausage, mushrooms, and onions. This year’s event will consist of three all-you-can-eat sessions: one on Friday 3/30 from 6-8 p.m. and two on Saturday 3/31 from 12-2 p.m. and 3-5 p.m. Our team is brewing a special Bière de Garde to celebrate! Beer specials include 16 oz. pours of Zwickel, Schnickelfritz, and Dorfbier for $4 and Fantasyland and Bière de Garde for $5. Our full beer menu will be available in the Taste Room. Music provided by Zydeco Crawdaddys! Brew Moon Party: Join us on the Budweiser Brew House Bud Deck for our inaugural Brew Moon Party! Embrace our blue moon festivities with DJ Deception and Mead while getting lit with an amazing demonstration of black-lights, fire spinners, glow body paint and pyrotechnics! 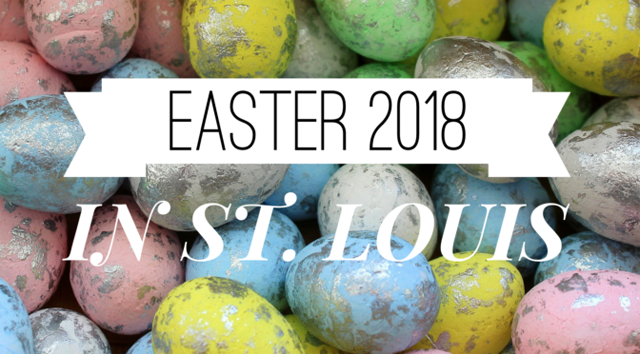 Easter Brunch: Celebrate Easter at Cardinals Nation! Brunch includes soda, coffee and tea. Guests over 21 can enjoy one complimentary Mimosa or Bloody Mary. Add bottomless Mimosas and Bloody Mary Bar for $8. $40 Adult | $15 Children Ages 3-11 | Children under 3 FREE. FREE admission to the Cardinals Hall of Fame and Museum! The Banff Mountain Film Festival World Tour: The largest, and one of the most prestigious, mountain festivals in the world. Hot on the heels of the festival held every fall in Banff, Alberta, the Banff Mountain Film Festival World Tour hits the road. This year’s tour features a collection of the most inspiring action, environmental and adventure films from the festival. Traveling to exotic landscapes and remote cultures, and bringing audiences up-close and personal with adrenaline-packed action sports, the 2017/2018 World Tour is an exhilarating and provocative exploration of the mountain world. From approximately 300 films entered into the annual festival, award-winning films and audience favorites are among the films chosen to travel the globe. Each evening in St. Louis will feature different films on all things mountain including skiing, climbing, paddling, snowboarding, mountain biking and mountain culture. GA tickets are $19.50. The Color Purple: 2016 Tony Award® winner for Best Musical Revival! Hailed as “a direct hit to the heart” (The Hollywood Reporter), this joyous American classic has conquered Broadway in an all-new “ravishingly reconceived production that is a glory to behold” (The New York Times) directed by Tony winner John Doyle. With a soul-raising score of jazz, gospel, ragtime and blues, THE COLOR PURPLE gives an exhilarating new spirit to this Pulitzer Prize-winning story. Don’t miss this stunning re-imagining of an epic story about a young woman’s journey to love and triumph in the American South. New Dance Horizons VI: Three cutting-edge choreographers set original dance pieces on three local professional companies to create three world premieres: Robyn Mineko Williams & The Big Muddy Dance Company, James Gregg & MADCO, Gregory Dolbashian & Saint Louis Ballet. Now in its sixth year, the original Dance St. Louis production, which was started to elevate the work of local dance companies to a national level through collaboration with nationally recognized choreographers, returns for the 2017-18 season, curated by Dance St. Louis’ new artistic consultant Terence Marling. Tickets are $35. Get Hopping Egg Hunt: Annual youth egg hunt for children ages 3 – 6 years old. Our special guest will be the Easter Bunny, so be sure to stop by, rain or shine, with your basket in hand. Bring your camera to snap a picture with the Easter Bunny. This event is presented with the help of Boy Scout Troop 313 and the sponsorship of Great Southern Bank. This event is free and reservations are not required. 4th Annual Crafted Events Adult Egg Hunt & Picnic: This hunt is for adults only. Win prizes such as electronics, wine, beer, scratchers, bottles-o-liquor, restaurant gift certificates, Kendra Scott jewelry, Cardinals Tickets, candy, etc…you know, adult stuff! Each egg will be numbered. Bring it back to the table of prizes and collect your loot! Easter dresses, hats and bow ties encouraged. $15 donation per person. $55 donation for 4 tickets. Our charity partner for this event is Planned Parenthood! New this year: Stick around for the after-party and enjoy our petting zoo with baby ducklings, piglets, bunnies, alpacas and GOATS AND LAMBS IN PAJAMAS! Get your picture taken with the Easter Bunny! Hearts & Fabric Bollywood Fashion Show: A complete fun, musical fashion and dance event to make your evening lovely and super-fun. Hearts & Fabric Fashion show will bring beautiful, creative and talented Indian and western designers in the limelight to enhance fusion fashion and sparkle of St Louis. Come enjoy this HOT fusion fashion show, watch beautiful models rocking the ramp, music, food, vendors, cash bar, and networking at this beautiful venue. Don’t forget to stay for AFTER PARTY where DJ ANNA will spin live till 11 PM to make you rock the dance floor. Tickets are $27. 19th Annual St. Louis Dance Festival: CKDC performs alongside other great St. Louis dance companies Like Dances of India, Ashleliane Dance Company, Midwest Ballet Theatre and more! Come out to support Dr. Prem’s legacy. This homegrown festival brings together established dance companies along with rising stars to show St. Louis that dance is alive & kicking right here in the Lou! You’ll see Chinese, Contemporary, Ballet, Jazz, Clogging, Indian, Middle Eastern, and more! 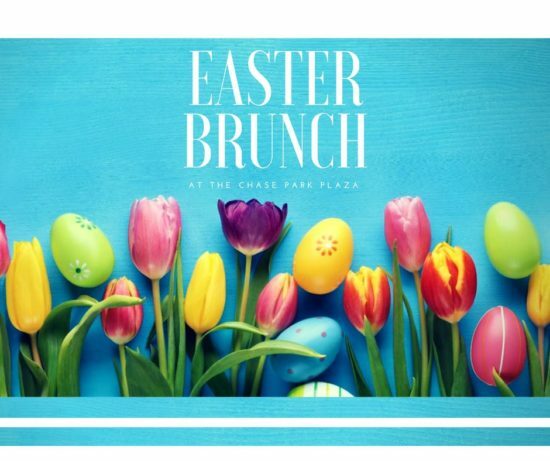 Easter Brunch: Join Executive Chef Gunter Weber at The Chase Park Plaza Royal Sonesta Hotel for an extensive Easter Buffet in Starlight Room overlooking beautiful Forest Park. Brunch includes the following food stations: seafood, charcuterie, salad, fresh fruit and cheese, breakfast, carvery and buffet as well as extensive pastries and desserts. Cost is $74 for adults, $24 for children (5-12) and complimentary for children four and under. Mimosa bar included in adult pricing. Ready Player One, Tyler Perry’s Acrimony and God’s Not Dead: A Light In The Darkness open in movie theaters this weekend. It’s the Weekend Movie Guide from RealLifeSTL.